At the Typography Day 2011 conference, I found typeface designer Hashim PM’s presentation to be one of the most interesting; an overview of his extensive body of work, which referenced design influences and methodology. I unfortunately didn’t get a chance to talk to him individually, but thankfully, the Design Difference website hosts images of his work – and this really fantastic pdf presentation from a previous Typography Day conference. 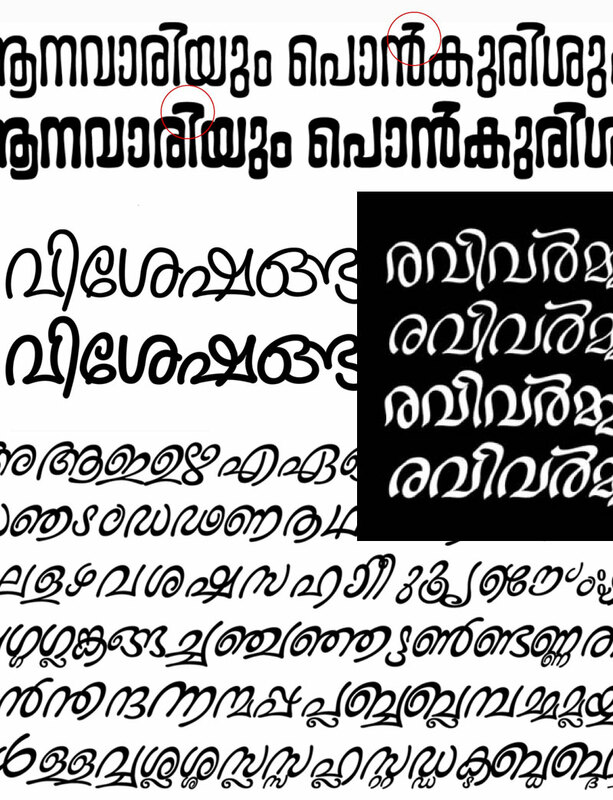 Inside are examples of a range of Malayalam typefaces – from calligraphic to condensed. Fantastic work to learn from, as he has attempted plenty of varied designs. Even more about Hashim PM can be found here.